ST. PARIS – Karl (Ernie) Zerkle and Sheryl L. (Crego) Zerkle of St. Paris celebrated their 50 years of marriage with a trip to Amish Country. 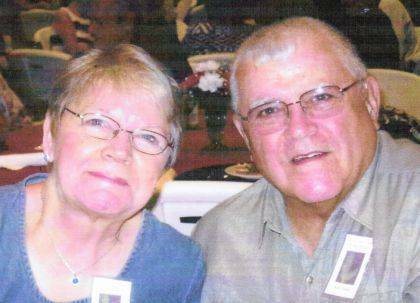 They were married on May 29, 1968, in the Terre Haute United Methodist Church. The late Pastor William (Bill) Turner performed the ceremony. Mr. Zerkle is retired from Hobart Institute of Welding Technology in Troy, after 27 years of being an instructor. His career covered 41 years in the welding industry. Mrs. Zerkle retired from Urbana Mercy Memorial Hospital after a 40-year career that covered patient care and as a Paramedic in the Emergency Department. They have three sons, Bradley Keith, Barry Karl and Brent Kane Zerkle. They have eight grandchildren. A granddaughter, Rachel Zerkle passed away in 2017.